Biuro podroży Iberinbound Travel z siedziba w Barcelonie w Hiszpanii poszukuje osób na praktyki w biurze. The International Office at Aarhus University, Denmark is seeking an Erasmus+ intern. Please find attached both a Word and a pdf version of the job advert. Please direct any questions about the internship to Mette Brandenborg, mb@au.dk. Please find attached an intern vacancy for summer 2019. The internship is suitable for students or graduates of education studies/ social sciences/humanities and/or languages. We have a large number of summer internships available at our 5* hotels in Greece. Please find a full list of our vacancies on our website (www.jobtrust.gr) and our facebook page well as our videos here and here. All work placements can also be taken under Erasmus+ and are completely free of charge (no fees, no commissions). All our vacancies are paid, include free accommodation and 3 meals per day as well as travel reimbursement at the end of the contract. Periods: 3 to 6 months available. We Offer Salary (depending on experience 400-700E), free accommodation, free meals, travel reimbursement and extra bonus at the end of the contract. Periods: between 3 and 6 months available. and then contact 0034697184146 by Whatsapp or call for a short interview. We would be happy if you could forward this message to all your students who are looking for an internship this summer that we can provide them our help. The International Recruitment Office of the University of Pécs, Hungary is looking for international recruitment assistant interns for the summer 2019. For further information, please see the attached call for application. We would highly appreciate if you could share this call with your students. We have an internship position available in our Paris office and would love to welcome a student from Adam Mickiewicz University. This is a paid internship in Digital Marketing and it qualifies for Erasmus+ and Erasmus Digital Opportunity funding. Toluna provides consumer insights designed to empower success in today's on-demand, global economy. Powered by the perfect fusion of technology, expertise, and the largest global community of influencers at the ready, Toluna delivers rich, reliable, real-time insights to individuals, and companies of all sizes. During this internship, students will have the chance to help us grow and develop the mentioned community of influencers. I have attached a document with more information. Could you please share it with the students at Adam Mickiewicz University? I’m available for more information and look forward to hearing from you! Europa-Service Nordthüringen in Germany sends current offer for an internship. Students are welcome and it would be a pleasure to support them. In our region stays in different branches are available. internship offer at TMF Luxembourg S.A. Please, have a look at the attachments. The University of Bergen is looking for a trainee to join us at the International Centre, starting from March or April 2019 until end of July (preferably). We know it is a short time frame, but we would appreciate it very much if you could forward this information to your students or recent graduates who may be interested in applying. Please note that the trainee needs to get funding through Erasmus+, but we will cover housing at a university student house, or up to 400 €. For any further information or question, please look at the attached call. Europe Direct Information Centre (EDIC) located in Reims, France is currently looking for a motivated intern to join our team. The internship is due to start in April, within a duration of 2 months. Erasmus+ or other internship agreement is required. The detailed offer is attached to this email. Feel free to contact us if you have any questions or potential candidates. w imieniu dyrektora Centrum kreatywności Poligon (Poligon creative centre) Luki Piškoticia pragnę poinformować, że w nadchodzącym 2019 roku, poszukujemy studentów i osób zainteresowanych wzięciem udziału w programie Erasmus oraz chcemy zaoferować sposobność odbycia praktyk zawodowych lub absolwenckich w ramach tego programu, zapewniając tym samym możliwość szybkiego nawiązywania kontaktu ze specjalistami w zakresie informatyki, designu oraz projektowania, współpracę przy organizacji eventów i konferencji oraz pogłębiania znajomości językowych oraz rozwoju umiejętności miękkich. MBChome, lda firma turystyczna z siedzibą w Lizbonie przyjmie studentów studiów licencjackich lub magisterskich na praktykę w ramach programu ERASMUS+. Poszukujemy kandydatów z obszarów kierunków turystycznych, nauk społecznych, marketingu i zarządzania, artystycznych oraz lingwistycznych. Sapienza University is looking for 2 international students or recent graduates to work in our International Office, especially deadling with incoming and traineeship mobility. The profile we are interested in are active and creative students or recent graduates, with a good command of both English and Italian language. The candidates will have the opportunity to work in the International Office - Erasmus Unit during the spring semester of the academic year 2018/2019 (2 available positions approx. from January to August 2019). Details are available in attachment. The deadline to send applications is November 20th! We would be very thankful if you could disseminate this information to students and recent graduates that could be interested in working in our team. Please find enclosed our placement offer in Pécs, Hungary. The Elcano School - Spanish language school based in Alicante, Spain offers internship positions for students. Please find attached document with the list of the available internship placements which could be implemented. Westhouse Group - an international firm operating in the field of search and selection of professionals in ICT, Engineering and Finance is looking for a student or a young graduated with a good command of English, for an international firm Based in Milan, world leader in distribution of electronic components. The International Center of Istanbul Bilgi University is looking for candidates who can serve as a social media student intern. Starting from August or later, we are looking for motivated students who would like to get engaged in the creating, editing and managing of content for the school’s web presence. Hired social media intern will be responsible for managing social pages on Facebook and Instagram and also Newsletters and leaflets for special events as well as other forms of marketing. Do you want to work in the international environment? Do you want to develop the skills in the area of your interest? Then DpointGroup is a great choice for you! THE COMPANYGIVES training on different subjects and programs (Photo/ Web/Video Editors,SEO, community Management, Google ad words/ad sense and Business solutions,Blogging and Domaining). We are pleased to announce and bring to your attention a placement offer at our institution. The information attached provides further details. The Faculty of Humanities, University of Žilina offers the internship position: "English language teacher assistant/ administrative assistant at the department/assistant at the International Relations Office". A traineeship offer - 1 Global Translators, located in Barcelona, Spain. Our company offers translation and interpretation services in all languages. We offer the opportunity to do an internship for a period of three months or more in the Project Coordination, Human Resources department, Administration department and Web Marketing department. Universitat Internacional de Catalunya is looking for an intern for one of its three campus located in Barcelona. The mission of the intern is to provide general assistance to the daily work of UIC's central Service for International Relations, that helps its 8 faculties in all aspects related to internationalization, mainly incoming and outgoing student and staff mobility outside Spain. UIC Barcelona has been receiving international interns for three academic years so far and the experience has been excellent! We are offering an Internship in the Czech Republic. The internship is in HR and Business Development sphere. Business Development and HR Internship for Native Polish Speakers. We are a Europe Direct Information Centre (EDIC) located in Reims, France, and we are currently looking for a motivated intern to join our team. The internship is due to start in April, within a duration of 2 months. Erasmus+ or other internship agreement is required. We inform you we have new offers in our hotels for your students! Nasza firma poszukuje obecnie praktykantki/praktykanta z Polski. The European Student Placement Agency UK team is happy to announce that we have new internship opportunities for you in the Business, IT and Engineering fields! The following links provide access to the full description (PDF file) of the vacancy, and please don't hesitate to share it with your friends if they wish to apply. Cypr: 5.5 - 6 dni w tygodniu, 8 godz. dziennie, wynagrodzenie: 500€ - 800€ miesięcznie, darmowe zakwaterowanie oraz wyżywienie 3x dziennie, plus 250€-400€ bonus na koniec kontraktu tytułem pokrycia kaucji 195€ opłaconej przed wyjazdem oraz biletów lotniczych. Grecja: 6 dni w tygodniu, 8 godz. dziennie, wynagrodzenie: 400€ - 650€ miesięcznie, darmowe zakwaterowanie oraz wyżywienie 3x dziennie, plus 150€-250€ bonus na koniec kontraktu na pokrycie kaucji 195€ opłaconej przed wyjazdem. Portugalia: 5 dni w tygodniu, 8 godz. dziennie, wynagrodzenie: 200€ - 500€ miesięcznie, darmowe zakwaterowanie oraz wyżywienie 3x dziennie plus 150€-250€ bonus na koniec kontraktu na pokrycie kaucji 195€. Sapienza University is looking for an international student or recent graduate to work in our International Office, especially deadling with incoming and traineeship mobility. Attached please find detailed information on the position and requirements, as well as the point of contact and the deadline. Organizacja EUROSUD, mieszcząca się w południowym regionie Włoch - Apulii, poszukuje chętnych na odbycie praktyki studenckiej w ramach programu ERASMUS +. Obecnie poszukuje osób na dwa stanowiska: tłumacza języka włoskiego i angielskiego oraz koordynatora projektów. This is M.E.P European Project Granada, a Spanish company working with undergraduate students from all the European Union countries, eligible to obtain the Erasmus+ grant. We place students in 6-month internships in the UK and Ireland and our service is totally FREE for all students and universities. Our students receive free accommodation along with all utility fees and a travel pass to and from work during the entire internship period. On top of that, we find the house and fill all paperwork ourselves so that your student receives the keys when he arrives in the UK and goes to work with no further worries. Obecnie poszukujemy osób chcących odbyć praktyki od października przez okres od 3 do 6 miesięcy. Praktyki dla studentów w Maladze. Poszukiwane są osoby ze znajomością j. angielskiego i j. hiszpańskiego. Szczegółowe informacje w załączniku. Two traineeship vacancies in a Montessori elementary school in Cyprus for the following positions. New Internship offer for Interns for academic year 2017/2018. Legalis (legalisglobal.com) is an international legal recruitment company that has its main operations center in Budapest, Hungary. We work for the top tier law firms in Europe and are also present in the US, Latin America, the Middle East and South Africa. We would like to invite students to join us for our internship program. The Center for Inter-American Studies of GRAZ UNIVERSITY offers an internship for a Project Management Assistant (Erasmus+ Internship if nominated through your university) from October 2017 to September 2018 (dates negotiable). Istanbul Bilgi University about "Erasmus Work Placement Offer" in Istanbul, Turkey. Attached you will find detailed information. We are a Europe Direct Information Centre located in Reims, France, and we are currently looking for a motivated intern to join our team. The internship is due to start in September/October 2017, within a duration from 3 – 6 months (to be discussed with the selected candidate). Erasmus+ or other internship agreement is required. ​​Warm greetings from UIC Barcelona! We are looking for an erasmus+ recent graduate trainee to join us in the International Office during the academic year 2017/18​. 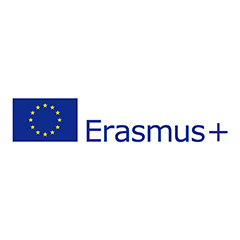 We are currently offering a position of a Web Application Developer within the Erasmus+ programme traineeship at the International Office, Faculty of Arts Charles University. 1Global Translators is a translation agency with a solid amount of experience and the commitment to offer excellent translation and interpreters services to our clients, among other linguistic services. Firmy Europroyectos Erasmus Plus to hiszpańska instytucja pośrednicząca z siedzibą w Kordobie, Granadzie i Martos (Jaén), specjalizująca się w zakresie przyjmowania uczniów i pracowników instytucji związanych z edukacją z całej Europy w ramach projektów europejskich. The position is open for graduates or students in the following fields: Education, Social Sciences and Humanities, Law, Business, Sciences. New Social Media Internship/Placement in the UK! We currently have a great new internship/placement opportunity that is looking for a candidate to start ASAP! We have started to organize the following Erasmus+ intern vacancies which might be of your interest. **** Hotel is currently looking for students or recent graduates of Hospitality/Tourism sector. Płatne praktyki zagraniczne dla studentów. The International Relations Office (IRO) of Universidad Politécnica de Madrid, Spain, offer places for students to work within the framework of Erasmus for Internships in our INTERNATIONAL RELATIONS OFFICE. Company "Amber Job": Professional Erasmus + practice placements for students in Greece. We are currently looking to expand our services to different industries in order to provide a wider range of internship opportunities for students. We have recently added an opportunity suited for Fashion students, and we have more to come. Now we want to reach out to Sport Management students with our new internship opportunity - Activity Instructor! The main purpose of this role will be to deliver an exciting range of outdoor activities to a group of children or young people who will be participating in a day or residential programs. ERASMUS+ Traineeship Offer – Universidad de Jaén (OFIPI), Spain. EProjectConsult – Istituto Europeo di Formazione e Ricerca, opened a vacancy for the position of Intern – Project Support Assistant to the Project manager. Here are some information about our company Animafest Experience. Our online platform for hotels and universities includes more than 500 hotels in Spain and more than 1000 universities from all over the world. We organise exclusive hotel internships on the Canary Islands. Our programme is for students who wish to carry out an individual hotel placement. Once we know the preferences (department, duties, training period, etc.) and qualifications of the students in advance, we are able to meet their expectations, as well as the requirements of the hotel. Masaryk University provides a website and gathers all interesting internships offered by local companies. Visit the website www.internship.muni.cz which enables to get in touch with the companies directly. Traineeship offer from the Erasmus Special Office at the University of Calabria-Italy. You don’t have enough professional experience, but you can’t find a job, where you are not expected to have job experience? Become an intern at our office. The International Office, Rector’s Cabinet ELTE is constantly seeking for new interns who are current students at ELTE or international students in Budapest with the Erasmus+ Traineeship program. Teachers, Adult Education Professionals and Higher Education Staff of organizations, schools and institutions that received the Erasmus+ staff training funding for the school years 2016-2017 and 2017-2018. Please take into consideration a traineeship offer for your students to work in our translation company, 1 Global Translators, located in Barcelona, Spain. Our company offers translation and interpretation services in all languages. We give the opportunity to do an internship for a period of three months or more in the Project Coordination, Human Resources department, Administration department, Web Marketing department and Translation department. Internship at Vytautas Magnus University International Office for students and graduates. Are you a native English speaker or do you have a good level in English and would like to become a qualified English teacher (accredited and advanced TEFL Certification)? We are Chetcuti Cauchi Group, a Law Firm established in Malta that offers professional services such as legal, tax, fiduciary and accounting services to another businesses and private clients. We are contacting your university because we are looking for new interns for a 3 month period minimum. It is important to highlight that this internship is unpaid and the candidates must have at least a B1/B2 level in English. The Faculty of Education at the University of Málaga is currently implementing a bilingual Spanish-English teacher training programme and, as part of the provision of language support, it is looking for language assistants through the Erasmus Internship webpage. The International Relations Office (IRO) of Universidad Politécnica de Madrid, Spain, offer places for students to work within the framework of Erasmus for Placement Program in our INTERNATIONAL RELATIONS OFFICE. Deadline to apply by sending CV and motivational letter to dominykas.graibus@vdu.lt is 1st of August, 2016. Attached document describes “Erasmus placement” opportunities proposed by Paul Valéry University for the academic year 2016-17. Enclosed please find information about an unpaid traineeship opportunity at Department of International Relations. We are ready to host your students for 2-12 months period. Free Turkish Language course is included. W załączniku najnowsze oferty praktyk w Hiszpanii i Francji. We inform that the International Relations Office of the Université Versailles Saint-Quentin-en-Yvelines is opening an Internship Vacancy for an international student. Our translation agency offers translation and interpretation services in all languages. We give the opportunity to do an internship for a period of three months or more in the Project Coordination, Human Resources department, Web Marketing department and Translation department. Firma WHITE in Ireland, z siedzibą w Cork (Irlandii), zajmuje się organizacją kursów języka angielskiego, zakwaterowania oraz praktyk zagranicznych w ramach europejskich programów wspierających mobilność studentów. Jesteśmy małą firmą świadczącą spersonalizowane usługi dla indywidualnych studentów i grup. Współpracujemy jedynie z wybranymi kandydatami w celu zapewnienia możliwie najlepszych usług. Poszukujemy osób o pozytywnym nastawieniu, otwartych na nowe doświadczenia.